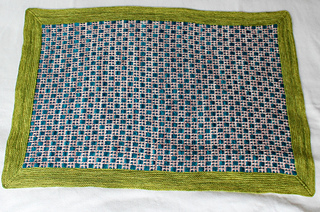 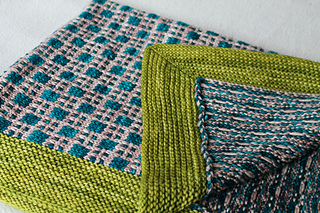 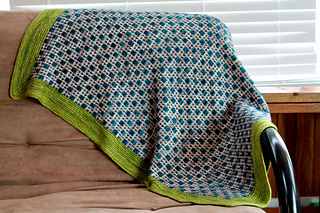 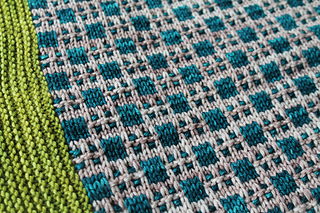 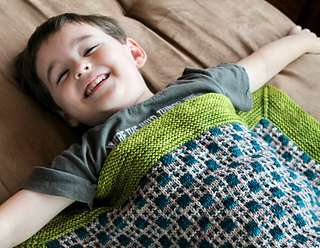 This modern blanket uses a slipped-stitch colorwork pattern to create eye-catching pops of color and baby-friendly texture without the need to juggle more than one color per row. 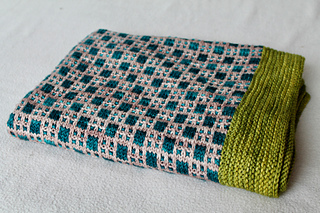 Exact gauge isn’t critical, but your blanket will turn out a different size and may use more yarn if you don’t match the gauge. 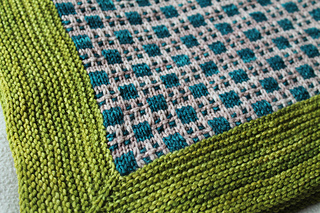 20 sts/37 rows = 4 inches/10 cm in Slipped Squares pattern on larger needles, blocked.